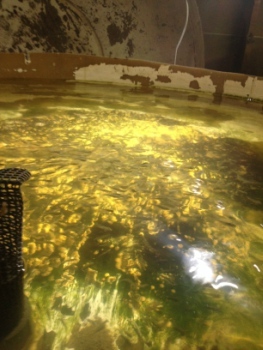 A view of one of Redemption Fish Company’s young aquaponics tanks. The Salem, MA based company is a budding aquaponics business raising fish and produce to stem the tide of collapsing fisheries in New England. Photo courtesy of Andy Davenport. Selling seafood in New England has never been a problem. But with local fish populations collapsing, and the appetite for seafood remaining the same, providing fish to sell is becoming more dire than most people may realize.